SINGAPORE: Work has started on Southeast Asia's first ecological corridor, Eco-Link@BKE, that links two nature reserves across the Bukit Timah expressway (BKE). The National Parks Board (NParks) and Land Transport Authority (LTA) broke ground on Saturday to mark the start of construction. Eco-Link is part of Singapore's efforts to conserve biodiversity in its urban landscape. The hourglass-shaped Eco-Link will be built across the BKE to connect Singapore's largest primary and secondary forests, as well as the Bukit Timah and central catchment nature reserves. NParks and LTA said it's important to preserve the habitats in the nature reserves because they're home to three quarters of Singapore's native plant species and more than 1,000 animal species. Linking two high points on opposite slopes of the nature reserves and measuring 50 metres at its narrowest point, Eco-Link will be a forest habitat in itself. When ready in 2013, populations of native animals such as flying squirrels, monitor lizards, palm civets, pangolins, porcupines, birds, insects and snakes, will be able to travel between the nature reserves to find other food sources, homes and mates. This will also help plant species to propagate through pollination and dispersal by the animals. Eco-Link will also benefit visitors. For the first few years, it'll be restricted to the public while ecological monitoring is conducted to assess its effectiveness as a wildlife corridor. When ready, NParks will consider public access in the form of guided walks on the bridge and the areas around it. There are also plans to have educational and outreach activities to raise the awareness and appreciation on biodiversity conservation. Already, students are helping to carry out various reforestation planting works, plant and animal surveys as well as project work to study aspects of the ecology of the forest. Since the start of the project, nature groups, non-governmental organisations, tertiary institutions, volunteers and government agencies have been working closely with NParks and LTA to conduct feasibility studies and ecological monitoring surveys. This close partnership will continue even after the construction of Eco-Link is completed. The project costs S$17 million, covering construction, survey, research and planting works. SINGAPORE - Work has begun on South-east Asia's first ecological corridor, Eco-Link@BKE, to connect Singapore's two biggest nature reserves across the expressway. The hourglass-shaped S$17-million Eco-Link@BKE is part of Singapore's efforts to conserve biodiversity in its urban landscape, and will be built across the Bukit Timah Expressway (BKE) to connect Singapore's largest primary and secondary forests, as well as the Bukit Timah and Central Catchment nature reserves. The animals in the two reserves, which have been separated for more than 20 years since the BKE was constructed, will be able to travel across a bridge to "find each other" when the link - which will be a forest habitat - is completed in 2013. Speaking at the ground-breaking ceremony, Minister of State for National Development and Manpower, Brigadier-General (NS) Tan Chuan-Jin, said there is potential for more of such links to connect the rest of Singapore's parks and nature reserves. Said BG (NS) Tan: " This is something we will track to see in terms of wildlife, fauna, flora, insects and so on. "We are looking at other potential projects as well but they can take many different forms - sometimes even a narrow strip, like for small birds. They don't need huge strips, they just need plants along the way and they can flit from tree to tree." Access to the public will be restricted for the first few years, while ecological monitoring will be continued to assess its effectiveness as a wildlife corridor. When ready, the National Parks Board will consider allowing public access in the form of guided walks on the link. The idea of building a link to reinstate the connectivity between the Bukit Timah and Central Catchment Nature Reserves, conceived six years ago, became reality yesterday as construction on the link started. It was members involved in the Singapore Green Plan 2012 - a 10-year blueprint towards environmental sustainability - who came up with the idea. The $17 million project, set to be completed by December 2013, is the first ecological corridor that connects two nature reserves over an expressway in South-east Asia. When the Bukit Timah Expressway (BKE) was completed 25 years ago, movement of wildlife in the area was cut short. Animals often turned into roadkill while trying to venture out in search of food and mates. Since then, conservationists have bemoaned the potential loss of bio-diversity, as species like the rare banded leaf monkey were cut off from their counterparts on the other side of the BKE. The eco-link will enable animals, birds and insects to move around freely in the area. All these, in the longer term, will help 'restore the ecological balance in these fragmented habitats and provide a conducive environment for our bio-diversity to thrive,' said Brigadier-General (NS) Tan Chuan-Jin, Minister of State for Manpower and National Development, who attended the project's ground-breaking ceremony yesterday. He operated an excavator and dug into the earth as a symbolic gesture of the beginning of construction. 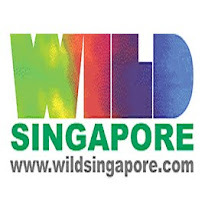 The minister added that while it was still early days, the Government was exploring the idea of creating more linkages, such as connecting the Bukit Timah Nature Reserve to the Bukit Batok Nature Park. While public access to the link will be restricted in the initial years as experts need to monitor and assess its ecological benefits, there are plans to allow the public to view the link through guided walks in future. THE National Parks Board (NParks) and Land Transport Authority (LTA) held a groundbreaking ceremony late last week for Eco-Link@BKE, South-east Asia's first ecological corridor that will connect two nature reserves over the Bukit Timah Expressway (BKE). The Eco-Link is part of Singapore's efforts to conserve biodiversity in its urban landscape, and will connect Singapore's largest primary and secondary forests: the Bukit Timah and Central Catchment nature reserves. The Eco-Link will join the two high points on opposite slopes of the nature reserves and will measure 50 metres at its narrowest point. 'These two nature reserves have been separated by the BKE for more than 20 years . . . When completed, the Eco-Link will enable animals, birds and insects to move freely along the connecting bridge, allowing for the effective exchange of native plant and animal genetic materials between the two nature reserves,' said Tan Chuan-Jin, Minister of State for National Development and Manpower. Eco-Link will not only benefit wildlife; visitors will also be able to enjoy guided walks later. The option is currently being considered by NParks. However, for the first few years, access will be restricted to the public while ecological monitoring is conducted to assess its effectiveness as a wildlife corridor. The total cost of the project is $17 million and it includes construction, survey, research and planting works.